A VIP gaming club of Macau junket promoter Suncity Group has had its customer service quality certified by SGS SA, a testing laboratory business based in Switzerland. The Suncity VIP Club at StarWorld casino hotel was recognised as the “first ‘7-star Casino VIP Club’ in the world” under the SGS Qualicert Service Certification, said the junket promoter. 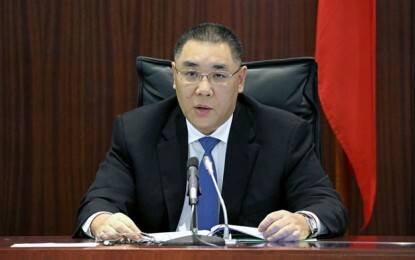 StarWorld casino hotel is operated by Galaxy Entertainment Group Ltd.
Suncity Group gave the news on Thursday at a certification ceremony, saying it sought such recognition as it looks to enhance its gaming business in Macau. StarWorld Suncity VIP Club has been certified by SGS for five consecutive years, according to the promoter. It said the club has had to meet “more than 260 service standards”. 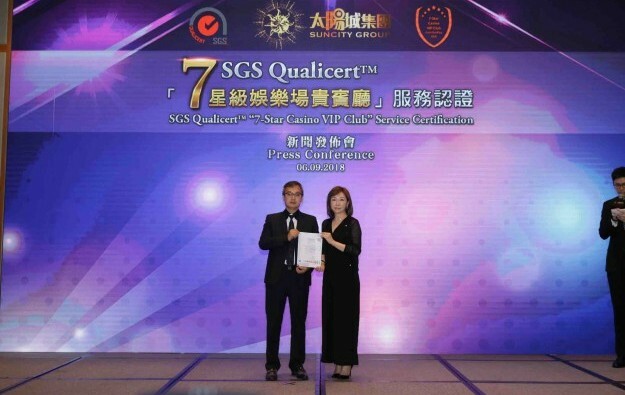 According to Suncity Group, a total of eight of its VIP clubs in Macau has been awarded the SGS Qualicert Service Certification. Privately-held Suncity Group was founded by Alvin Chau Cheok Wa. The brand is said by investment analysts to be the largest-single investor in junket room operations in the Macau market.